I am a simple boy from Africa who is blessed with good style and good taste. I am currently living in the Flatiron District in a fabulous apartment that I designed. The best part of the apartment is my the rooftop that I use for entertaining. I am a pianist and I once wanted to be a surgeon. The south of France and south of Turkey during the summer. Everything around me inspires me 24/7. I constantly travel and I am constantly inspired by what I touch, taste, smell, feel, and hear. This is how I design. Peace of mind and excellent health. Colin Cowie has led an extraordinary life. He arrived in America from South Africa with $400 in the pocket of a good suit and a tan. But it was his smart thinking, personality, and stylish sensibility that led him into the fast-track, glamorous world of planning over-the-top parties for the who’s who of royalty, celebrity, and business. Colin has been at the forefront of event and wedding planning for the past 25 years; he has creating trends and rased the bar for creating the ultimate experience for guests. 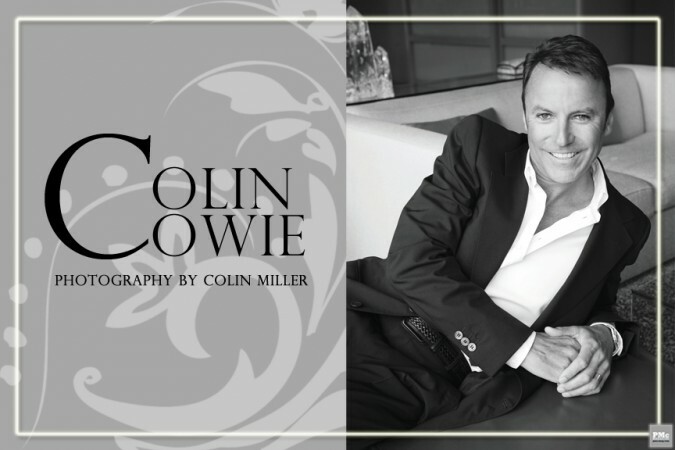 He is the author of eight best-selling books that are sold around the world, a contributor to the Today Show, a designer for lifestyle products sold on HSN, and now is at the helm of a new digital venture that is revolutionizing the online wedding planning industry, www.colincowieweddings.com.